Be a part of our growth! A wireless terminal allows card acceptance any place, any time. 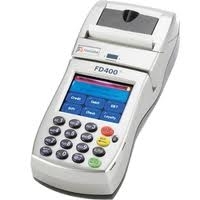 If your business is in a non-traditional location or if you simply want portability, the First Data® FD-400Ti terminal is ideal. ©2018 Advanced Bancard Solutions, LLC. All Rights Reserved. All trademarks, service marks and trade names referenced in this material are the property of their respective owners. Advanced Bancard Solutions is a registered ISO of BBVA Compass Bank, Houston, TX - Member FDIC. Advanced Bancard Solutions is a registered ISO of Wells Fargo Bank, N.A., Concord, CA.